Currently, construction on a house completely sponsored by Wells Fargo is underway in nearby Sheridan, Colorado. It is expected to be completed in December. The approximately $150,000 needed to sponsor the house is from the Wells Fargo Foundation, and about $80,000 of that is from a Team Member Volunteer Program grant. As a part of the grant, team members are required to volunteer 1,500 hours. Dunn said the team is hoping to double that and exceed 3,000 hours when the house is completed. This is just the latest project in Wells Fargo’s 20 years of supporting the Habitat affiliate. Since 1998, Wells Fargo has invested more than $1.38 million in local home construction and repair programs in Denver. More than 780 team members have volunteered almost 9,600 hours. The house Wells Fargo sponsored is one of the 63 homes built in Sheridan Square, which is 4.35 acres and the largest Habitat for Humanity development in the state of Colorado, said Heather Lafferty, CEO and executive director of Habitat for Humanity of Metro Denver. 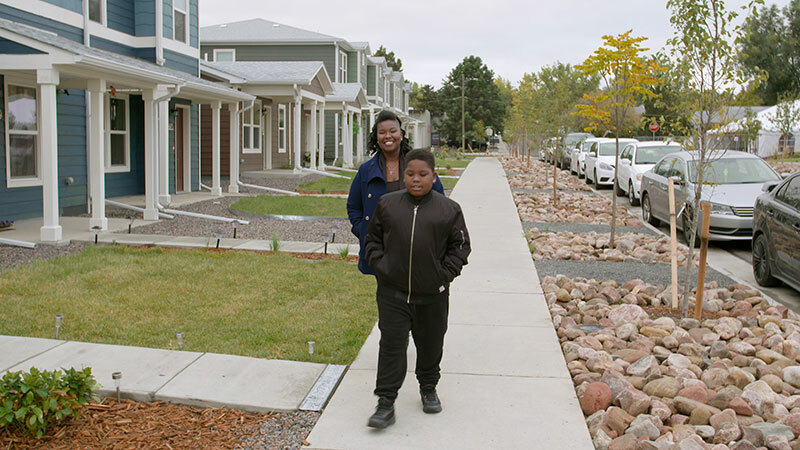 In November 2015, Wells Fargo provided the initial grant of $250,000 through its Priority Markets Grant program, which allowed Habitat to purchase the land and begin developing it. Once the development is complete, Habitat estimates that homeowners will pay $77,000 in annual property taxes and increase the homeownership rate by 6 percent, Lafferty said. The school district will also have hundreds of students attending, as a result.